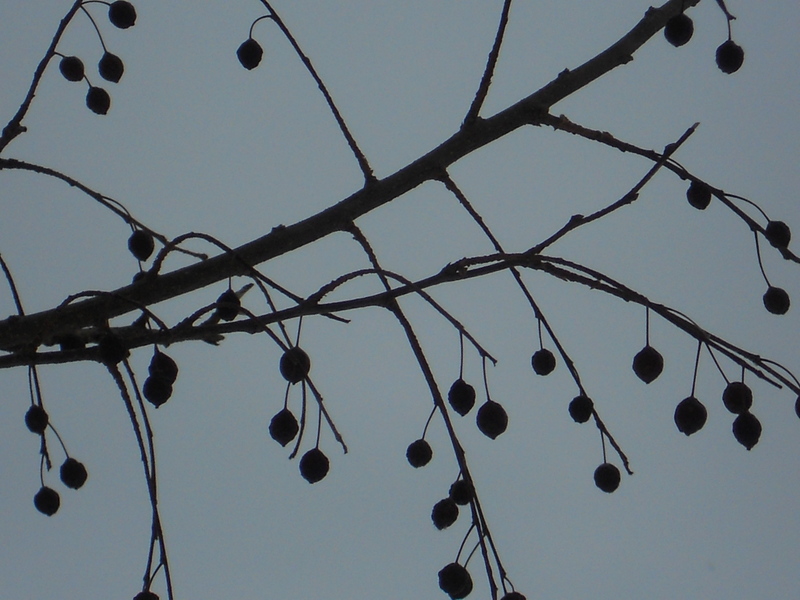 I don't use hackberries for anything, but to admire their delicate tracery against a grey sky. That’s what we call it when you are in the right placeat the right time for an observation of Nature that you’d otherwise miss. Today coming back from Trip IV with hay for the horses and pine for the goats, I heard a deafening chatter from the hackberry trees along the barn lane. 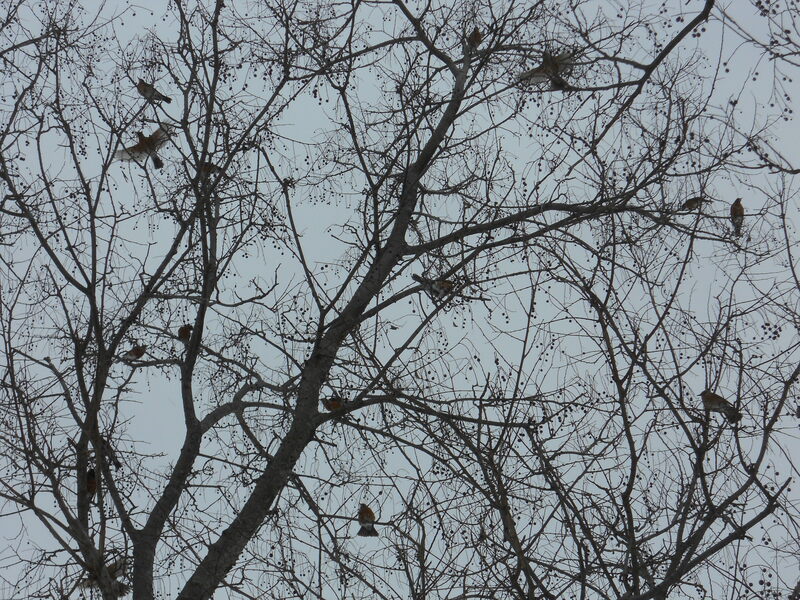 A flock of robins (they only congregate in cold weather, either migrating or converging on a food supply) were taking advantage of the trees’ fruit. They stayed 2 or 3 hours,, and aren’t going to leave much of the small, seedy, astringent fruit. So despite damp boots (Rule #1, in a way of life with few hard and fast rules, is Get Out of the Wet Socks) I grabbed my new Nikon Coolpix, which I’ve yet to master thoroughly after a week, and got these. There must have been 50 of them, moving too fast for me to count or the lens to capture.